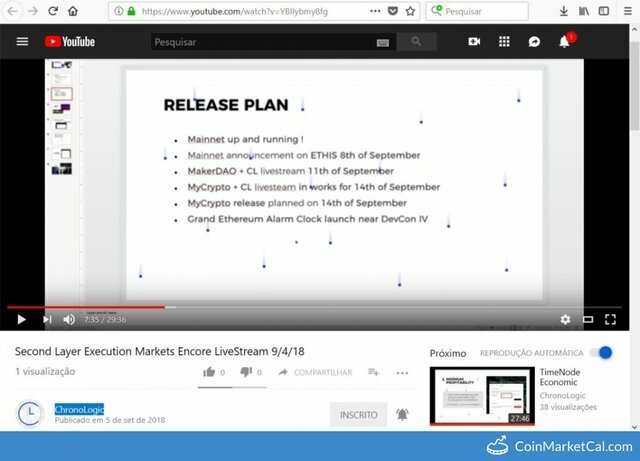 "Grand Ethereum Alarm Clock launch near DevCon IV." You got a 6.83% upvote from @joeparys! Thank you for your support of our services. To continue your support, please follow and delegate Steem power to @joeparys for daily steem and steem dollar payouts! Congratulations, your post received 39.41% up vote form @spydo courtesy of @coinmarketcal! I hope, my gratitude will help you getting more visibility. You got a 35.65% upvote from @redlambo courtesy of @tech-coin! Make sure to use tag #redlambo to be considered for the curation post! You got a 28.57% upvote from @whalepromobot courtesy of @google-assistant! You just received a 11.74% upvote from @honestbot, courtesy of @google-assistant! This post has received a 22.17% upvote from @lovejuice thanks to @google-assistant. They love you, so does Aggroed. Please be sure to vote for Witnesses at https://steemit.com/~witnesses. You got a 12.40% upvote from @ptbot courtesy of @coinmarketcal! You got a 9.80% upvote from @dailyupvotes courtesy of @coinmarketcal! You got a 7.33% upvote from @upmewhale courtesy of @coinmarketcal! You got a 3.33% upvote from @oceanwhale courtesy of @coinmarketcal! Earn 100% earning payout by delegating SP to @oceanwhale. Visit www.OceanWhaleBot.com for details! This post has received a 100.00% upvote from @msp-bidbot thanks to: @coinmarketcal. Delegate SP to this public bot and get paid daily: 50SP, 100SP, 250SP, 500SP, 1000SP, 5000SP Don't delegate so much that you have less than 50SP left on your account. You got a 8.96% upvote from @brupvoter courtesy of @best-photo!